The Best Workplaces in Chicago rankings are based on feedback from more than 81,000 employees at Great Place to Work®Certifiedorganizations with locations in the Chicago area. Employees completed an anonymous Trust Index© survey, answering questions about how frequently they experience the behaviors that create a great workplace, including, for example, management transparency, professional development opportunities, meaningful work, promotion equity, and the generosity of benefit programs. Results from the survey are highly reliable, having a 95% confidence level and a margin of error of 5% or less. 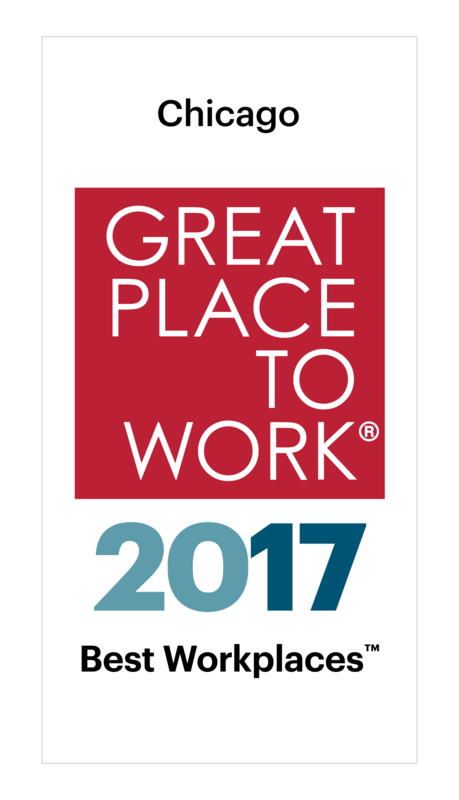 Being awarded a place on this list indicates the company has distinguished itself from peers by creating a Great Place to Work For All. Rankings reward organizations where not only the majority of their employees experience a great place to work, but these experiences are highly consistent, regardless of who people are or what they do in the organization. Scores take into account the complexity and size of the employee population. Companies are rewarded based on how much of their business is located in Chicago. Winning companies in Chicago averaged revenue growth of 25 percent last year, compared to 15 percent at contender companies.